A Montrose father has spoken of his agonising “waiting game” after his three-month-old daughter’s heart surgery was delayed. 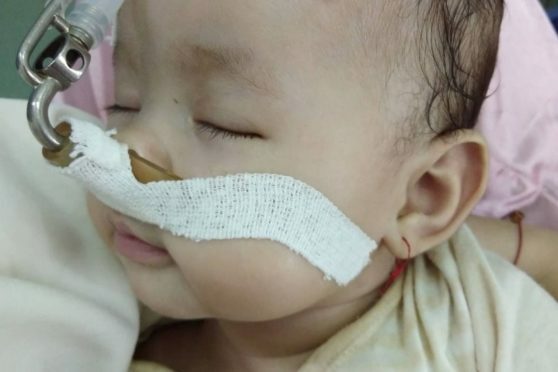 Steve Murray, who now works in Vietnam, said Lena is out of immediate danger in Nhi Dong 1 Children’s Hospital and deemed healthy enough to push the surgery back. 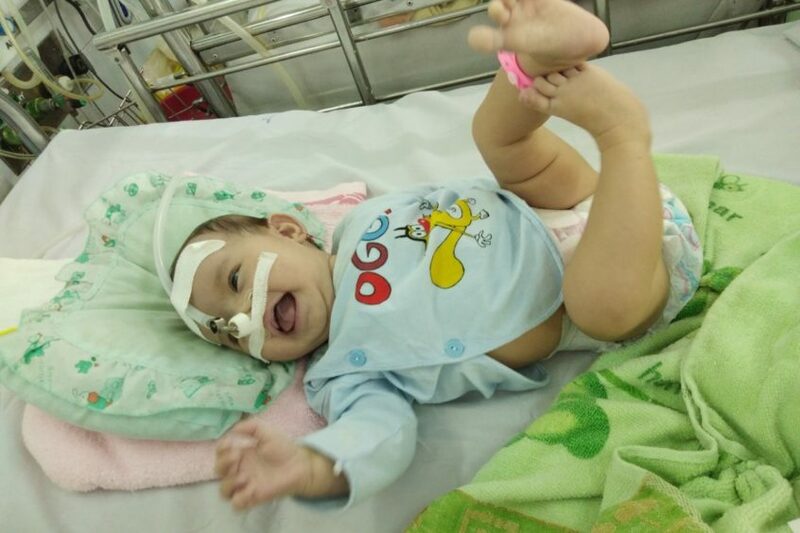 Lena is currently in the children’s hospital in Ho Chi Minh City because she has an open heart valve and will require surgery. Mr Murray said the delay is a good sign but he does not want surgery to drag on past the weekend in case she takes a turn for the worse. He said: “Lena was supposed to be top of their list for the scheduled surgery but now she is no longer in immediate danger they have put her down the list a bit, which is why they’ve pushed it back. “The delay is certainly a good sign now they we don’t have to worry about her having an episode at any time and that they feel comfortable enough with letting her wait a little more. “I don’t want to drag it on even past the weekend because I’m already anxious enough about the surgery and them giving us more time is just more time to worry about how she is going to get on. Mr Murray set up an online page to raise money to help fund Lena’s operation after she was diagnosed with a congenital heart defect. The publicity has already sparked a surge of donations back home in Scotland which has left Mr Murray and his wife “completely shell-shocked at the love and support”. “Nothing shocked me more than the love and community spirit from the people of Montrose and Angus in general,” he said. Mr Murray said they were told Lena could die when she was transferred to the children’s hospital but she is slowly showing signs of improvement. 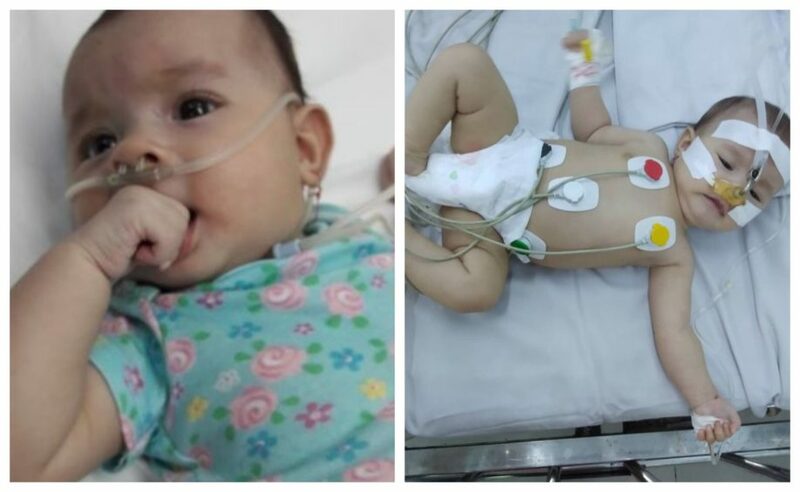 “They were expecting her to have another episode so they wanted to do the operation as quickly as possibly but after putting her on the oxygen tank, she has improved,” he said. “She’s no longer lethargic and limp like she had been – she’s actually picked up a lot more energy. “The main problem she has is that she can’t get enough oxygen through her heart and around her system. “When this all started, me personally, I wasn’t coping well at all. “I went through the seven stages of grief over and over for the first 48 hours. “My wife wasn’t doing much better than I was, but we had to pull ourselves together – quickly. Doctors have given the family around an 80% chance of success following surgery and she would require up to six weeks of after care.